I don't know about you, but sometimes I can get pretty bored of my home and sometimes all it takes it little updates to make you love your home again. The kitchen is the room in our flat that I dislike the most, mainly due to being too small for what we need, but also because its not they style I'd choose myself. If you are looking to improve your kitchen and own your home than there is a simple way to give the room a little update. 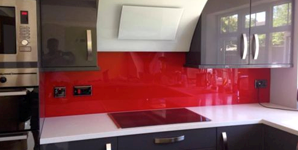 Acrylic kitchen splash backs are an ideal alternative to the usual glass and traditional tiling. You can choose from a range of colours and finishes to transform your kitchen. 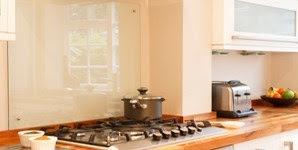 There are also other areas of the home that you can update and you can use these perspex sheets to do so. Using clear arcylic sheets and splash backs are great around the home as they can be cut to size but are also are of high quality and versatile.